“Quotes For The Soul” Audio Book Now Available! 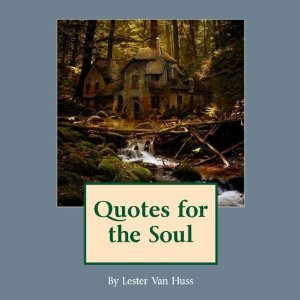 At Double RR Studios & Production, we recently completed the recording and editing of the audio book edition of Quotes For The Soul by Lester Van Huss, narrated by Sandy Orkin. The book is a collection of thoughtful and contemplative quotes. Let your souls be warmed from within as you browse through this collection of serious to light-hearted quotes especially chosen for your enjoyment. Let the Author bring a tear to your eye, contemplation to be reckoned with or just a simple little chuckle to start out your day. These are among his favorites of all time which needs to be shared with all. The audio book is now available at Audible and can be found right HERE.